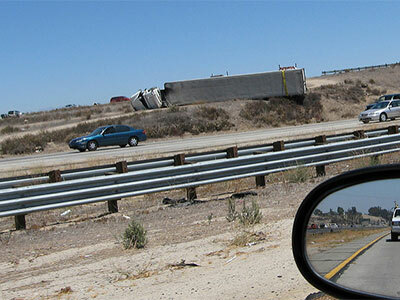 According to the Federal Motor Carrier Safety Administration, there are hundreds of thousands of accidents on America’s roadways involving large commercial trucks each year. In 2015, the FMCSA estimates that there were approximately 342,000 accidents involving large trucks property damage only, 88,000 that involved injury, and approximately 4,000 that involved fatalities. Close to 1,000 accidents involving cargo haulers happen daily in the United States. With all of these accidents, commercial towing companies that respond to accidents involving cargo haulers may find themselves with a recurring dilemma. What to do with damaged loads? It is not uncommon for towing companies to find themselves dealing with customers located in other states. In order to properly take care of an out-of-state customer, it is important that you have an option for handling these sensitive loads from the cleanup on the highway (Your Role) to the final disposal of damaged goods (Disposal Company). When dealing with damaged loads, it is important to find a vendor that offers certified product disposal services. What Is Certified Product Disposal? Certified product disposal, or certified product destruction as it is sometimes called, is a process whereby products are destroyed or disposed of and the process is authenticated to ensure that the product is not being resold or utilized illegally, or in the event of an accident to settle insurance claims. .
For items that are damaged in an accident, certified product disposal is an important part of the process to ensure that the carrier involved in the accident is covered for insurance purposes. Typically, a qualified product disposal company will provide you with appropriate paperwork and the assurance the job has been done completely and competently. A qualified product destruction company should provide at a minimum a certificate of destruction, but many companies will go that extra mile and provide photographic or video evidence of destruction that can be provided to insurance claims adjusters to ensure that your customers claims process goes well. While there are many different types of cargo that may require certified product disposal, there are some that require more care than others. Food products for example require a great deal of care. Food products may become spoiled as a result of the accident, OR refrigeration units can become damaged, ruining the load. Spoiled food could pose imminent health risks to the population and should be dealt with quickly and decisively. Other items that may be problematic include sensitive electronics or consumer products like cosmetics and nail polish that contain hazardous materials. Brand protection is another concern. Packaging from well-established brands has significant value in the marketplace - particularly in the "Grey Market." If unscrupulous grey market profiteers get their hands on authentic packaging, it could lead to problems for your customers and ultimately for you as their vendor. This article explains how there is money to be made from brand packaging. It takes knowledge of the current regulations and an understanding of the available disposal options to truly provide top-notch service and competitive pricing options. How does the company prove the disposal has been handled from start to finish? If they store loads at their yards prior to disposal, do they have surveillance cameras? It is important for towing companies to have cost effective solutions and a secure certified product disposal option. Proper certified destruction services maintain tracking and security throughout the disposal process. By maintaining a “chain of custody” throughout the process and providing photographic or video evidence of the destruction process you can be sure that your disposal is handled with the highest degree of professionalism, and ensure that your products end up where they are supposed to. No more figuring out to do with damaged loads. If you own a towing company, adding certified product disposal services to your offerings can help you better service your customers and give you a leg up on the competition.